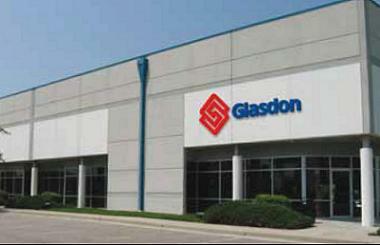 Glasdon is a leading manufacturer of environmental and safety products. Glasdon pioneered the use of plastic polymer material for road signs and street furniture, offering a cost effective, low maintenance and hard-wearing solution for customers around the world. Today, with a continuing focus on innovation and customer-led product design, Glasdon remains a market leader in the supply of litter bins, recycling containers, outdoor public seating and road bollards. An environmentally friendly choice, Glasdon products are made from recycled materials and materials which can be recycled at the end of their service life. 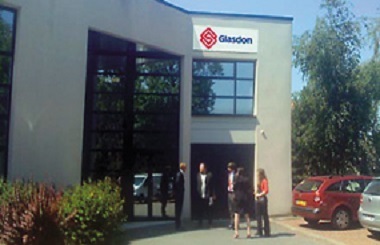 Glasdon Group Limited has evolved from the single one man business established in 1959 by the Group Chairman, Donald J Sidebottom MBE, FCIHT. 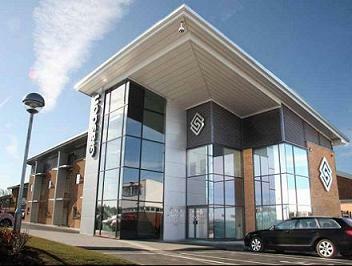 With present turnover exceeding £30 million and the number of employees exceeding 300, the hallmarks of success have been proved to be total personal commitment and unrestricted emphasis on innovation, quality and customer service. Team spirit is fostered at all levels of the Group and employees are encouraged to participate in the development and growth of the business and share in its success. Glasdon UK Limited serves over 50,000 customers throughout the UK and Ireland including national and local government departments, public utilities, retailers and leisure companies plus a broad spectrum of British industry and commerce. Customer care and new product innovation have established Glasdon UK as a market leader in the design and manufacture of award-winning litter/recycling bins, road safety products, a diverse range of building systems, shelters, seating products, notice board, water safety products and snow-clearing equipment. Either direct or through networks of distributors, Glasdon International Limited markets the various products of all the Glasdon Group Companies throughout the rest of the world. Based in France, Glasdon Europe Sarl markets the various products of all the Glasdon Group Companies in France, Belgium and Spain. 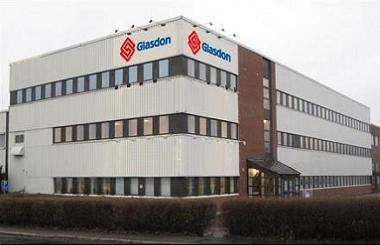 Glasdon Europe AB markets the various products of all the Glasdon Group Companies in Sweden, Norway, Denmark, Germany, Poland and the Netherlands. 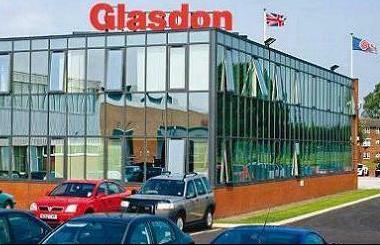 Based in Richmond, Virginia, Glasdon, Inc. is dedicated to providing numerous products of all the Glasdon Group Companies directly to the USA. 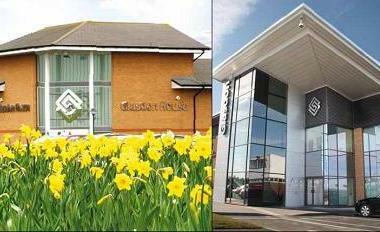 The Glasdon in-house design team has gained vast knowledge in all aspects of product design and material selection. The department utilises the very latest computer aided design technology, with 3-D modelling. Independent product testing also helps to ensure that Glasdon products meet customer expectations in terms of aesthetics, function and service life. Our commitment to customer service means that a fully trained team of sales representatives and technical staff are available to our customers for product demonstrations, enquiries and after sales service. For all standard products, as far as possible, we aim to offer ex-stock delivery and the quickest possible lead time for bespoke orders. Supporting in-house manufacturing and assembly in our modern factories, over many years, we have established a network of proven, high-quality suppliers who work with us to meet our stringent quality standards. To ensure that all Glasdon products offer the highest quality and best value, we place great emphasis on material selection, efficient manufacturing and never sacrifice quality for price. Glasdon UK Limited are Designers, Manufacturers and Suppliers of Litter Bins, Recycling Bins, Cigarette Bins, Bollards and Marker Posts, Modular Buildings Systems, Industrial Housings, Shelters, Seating, Grit Bins, Gritters, Notice Boards and Water Safety Equipment. Glasdon International Limited are Designers, Manufacturers and Suppliers of Litter Bins, Recycling Bins, Cigarette Bins, Bollards and Marker Posts, Seating, Grit Bins and Gritters, Planters and Water Safety Equipment. Glasdon Europe Sarl (French) are Designers, Manufacturers and Suppliers of Litter Bins, Recycling Bins, Cigarette Bins, Bollards and Marker Posts, Seating, Grit Bins, Gritters and Water Safety Equipment. Glasdon Europe Sarl (Spanish) are Designers, Manufacturers and Suppliers of Litter Bins, Recycling Bins, Cigarette Bins, Bollards and Marker Posts, Seating, Grit Bins, Gritters and Water Safety Equipment. Glasdon Europe AB (Dutch) are Designers, Manufacturers and Suppliers of Litter Bins, Recycling Bins, Cigarette Bins, Bollards and Marker Posts, Seating, Grit Bins, Gritters and Water Safety Equipment. Glasdon Europe AB (German) are Designers, Manufacturers and Suppliers of Litter Bins, Recycling Bins, Cigarette Bins, Bollards and Marker Posts, Seating, Grit Bins, Gritters and Water Safety Equipment. Glasdon Europe AB (Polski) are Designers, Manufacturers and Suppliers of Litter Bins, Recycling Bins, Cigarette Bins, Bollards and Marker Posts, Seating, Grit Bins, Gritters and Water Safety Equipment. Glasdon Europe AB (Svensk) are Designers, Manufacturers and Suppliers of Litter Bins, Recycling Bins, Cigarette Bins, Bollards and Marker Posts, Seating, Grit Bins, Gritters and Water Safety Equipment. Glasdon Europe AB (Norge) are Designers, Manufacturers and Suppliers of Litter Bins, Recycling Bins, Cigarette Bins, Bollards and Marker Posts, Seating, Grit Bins, Gritters and Water Safety Equipment. Glasdon Ireland are Designers, Manufacturers and Suppliers of Litter Bins, Recycling Bins, Cigarette Bins, Bollards and Marker Posts, Seating, Grit Bins, Gritters and Water Safety Equipment. Glasdon, Inc. are Designers, Manufacturers and Suppliers of Trash Cans, Recycling Bins, Cigarette Bins, Pet Waste Stations, Bollards and Water Safety Equipment. © Glasdon Group Limited 2018. All rights reserved.